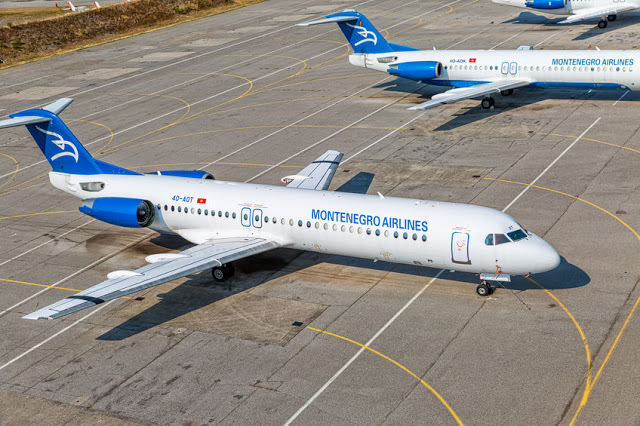 Montenegro Airlines is set to wet-lease a Boeing 737-500 aircraft for the summer season after posting its smallest annual loss in ten years. The Montenegrin carrier will utilise a 126-seat B737-500 jet from Romania’s Blue Air. According to the Romanian “Boarding Pass” portal, the aircraft, registered YR-AMC, will be stationed in Podgorica from April 15. It is expected to operate on behalf of the Montenegrin carrier until the end of September in order to support the company’s summer schedule. Last year, Montenegro Airlines wet-leased the same aircraft type from Malta’s Air X Charter. “Leasing an aircraft for a longer period of time during the peak summer months proved to be extremely successful and efficient”, the airline previously said. According to ExYuAviation, Montenegro Airlines posted a net loss of 1.97 million euros for 2018, the smallest amount in ten years. The result marks an improvement on 2017 when losses totalled 4.6 million euros and 2016 when they amounted to 11.5 million. The company said its operating income was 245 thousand euros higher than its operating expenses. Overall, revenue stood at eighty million euros. The improved results were achieved despite a 27% increase in fuel prices. “At the start of 2017, the airline was in an almost hopeless situation, with a loss of 11.47 million euros from 2016. Following measures that were undertaken by the new management, with support of the Government of Montenegro, the business was stabilised in a relatively short period of time. By the end of 2018 losses were almost six times lower”, the carrier said. It anticipates posting an annual profit in 2019. “It is evident that the company would have operated with an overall positive result in 2018, despite significant financial expenses, which primarily relate to exchange rate differences, had the price of fuel been lower. Due to these unforeseen circumstances, last year we had to allocate an additional 3.2 million euros than initially planned. In any case, the positive trend in Montenegro Airlines’ operations is evident over the past two years. If the price of aviation fuel remains at the same level as it was in the first quarter of 2019, we can hope for a positive result at the end of this year, which will be better than the previous one according to all commercial and financial indicators”, said Montenegro Airlines’ CEO, Živko Banjević. The company handled 87.569 passengers during the first quarter of the year, representing an increase of 4.5% compared to the same period in 2018. The number of operated flights stood at 1.229, up 4.2%. The cabin load factor averaged 61%, which is on par with last year’s result. The highest average cabin occupancy was registered on the Podgorica – Belgrade service at 65%.